I’m in love. 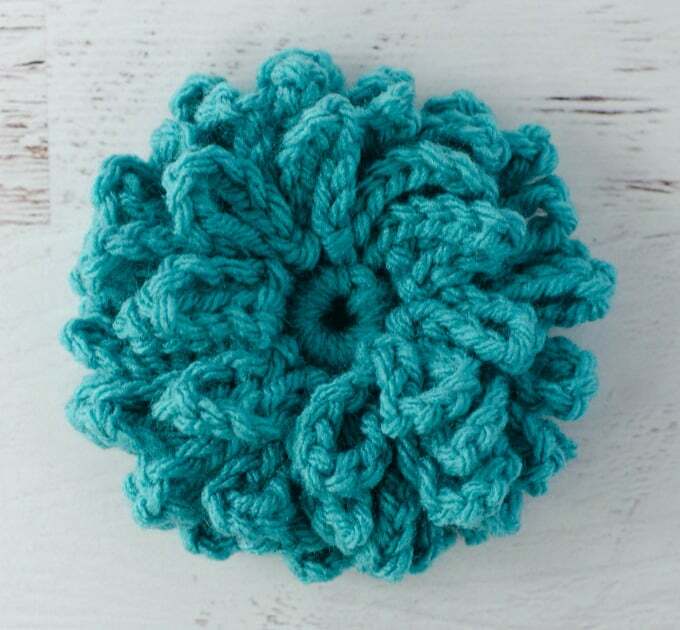 In love with this beautiful, yet oh so simple crochet loopy flower! Sometimes you just need a little bright spot in your day and today, this is it! I can see this on a hat, on a wreath, on a purse..on just about anything! And it is so easy and cute you can whip it right up with yarn stash you have in the house…because if you are like me, you probably have some extra yarn laying around the house. I love a project that I can finish quickly that makes me happy! R3: working in the back loop (BLO) of row 2, *ch 10, sl st in the BLO of next st*, repeat * to * around (20 loops). R4: working in the front loop of row 2, *ch 10, sl st in the BLO of next st*, repeat * to * around (20 loops). R5: Now, working in the front loops of ROW 1, repeat row 4. 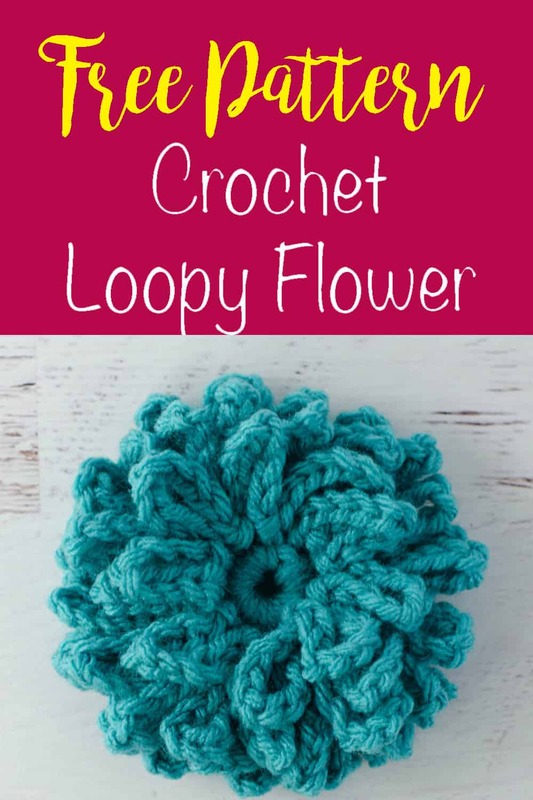 You should have 3 rows of loopy petals! 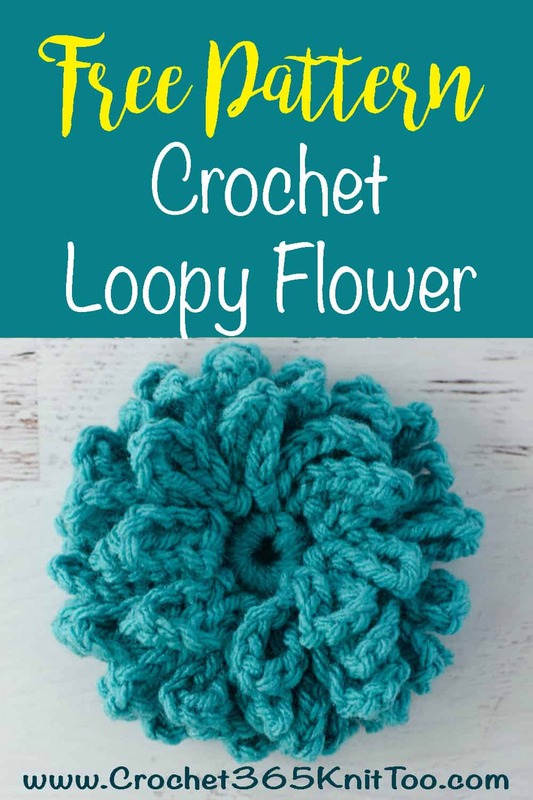 I hope you had fun making this crochet loopy flower! It would be very adorable on a headband!